What do you use oil extracted from tyre ? The waste tyre pyrolysis plant is a machine that converts waste plastic,tyres and rubber and other waste materials into pyrolysis oil, carbon black and hydrocarbon gas. The waste tyre pyrolysis plant can reduce the volumes of the waste products and help human protect the environment. 2.Second,start the machine and reactor heating .When the inside temperature reaches the degree of 250--280,the oil gas will begin to generate while flow through oil gas separator ,continuously produce until the temperature up to the degree of 350-460.Then use oil extracted from tyre. 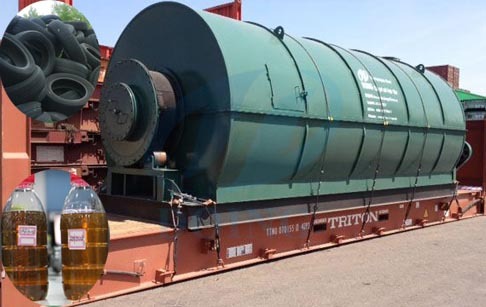 Prev:What is the process of pyrolysis oil extraction? Next:What is the importance of furance oil from waste tyre? If you wanna to get more details about What do you use oil extracted from tyre ? you can send E-mail to market@doinggroup.com. You can consult our professional engineer and specialized sales team with leave a message in below form.We will contact with you ASAP.You also can visit our factory in Henan,China.Get Detailed address.